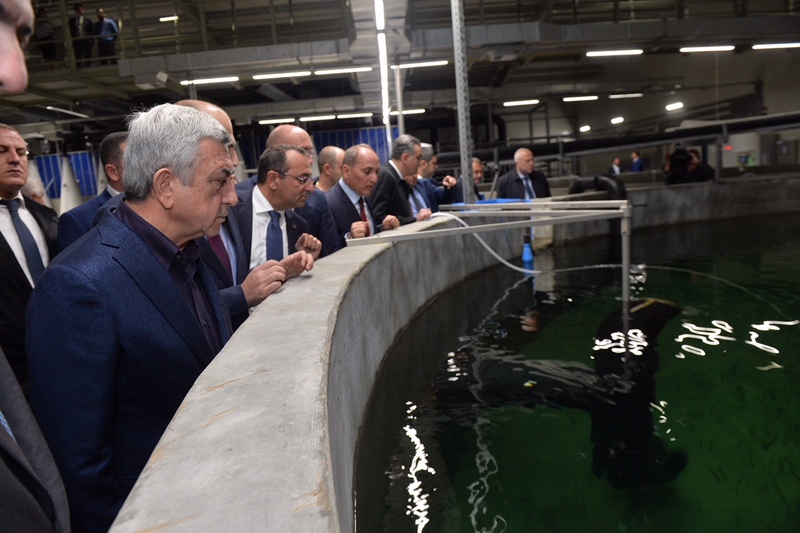 President Serzh Sargsyan paid a working visit to Gegharkunik Marz, where he inspected progress in the Sevan Trout Stock Restoration and Fish Breeding complex program in Lchap and Karchaghbyur communities. 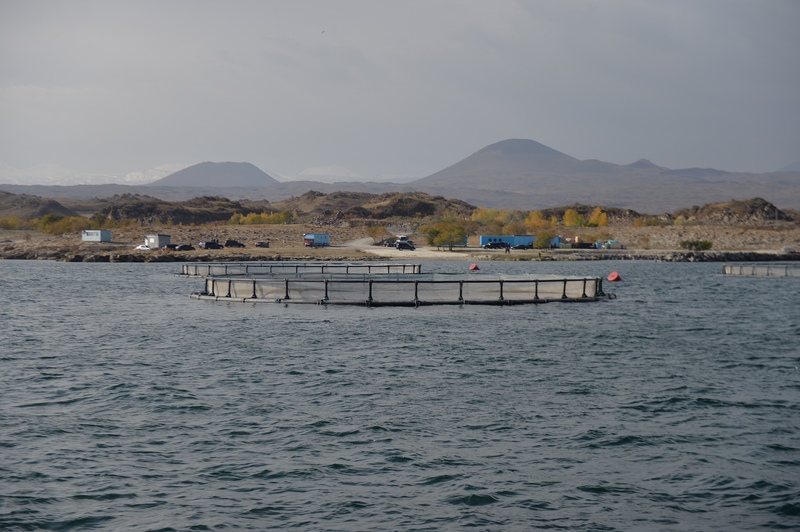 The project is aimed at rehabilitating fish species, natural resources and the ecosystem in Lake Sevan in order to restore trout populations, create financial resources for dealing with environmental issues in Lake Sevan, as well as to provide new jobs. 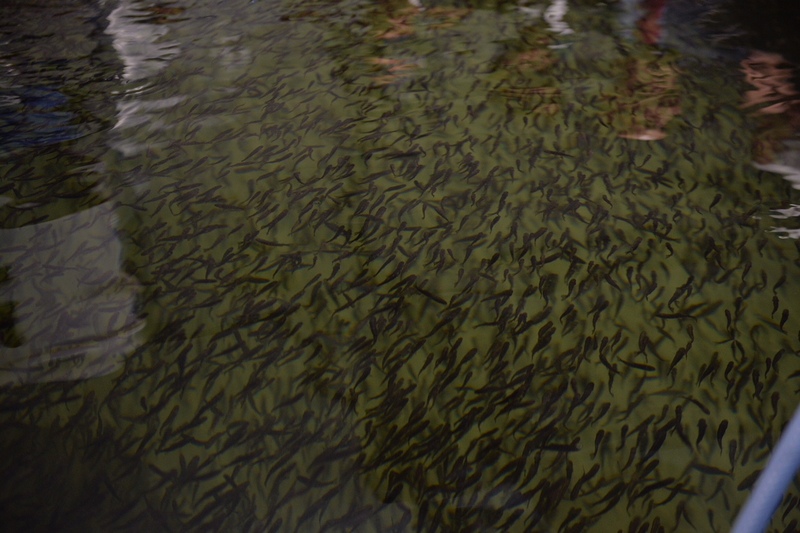 The program is supposed to create an environmentally stable value chain for the reproduction of trout over the next few years. 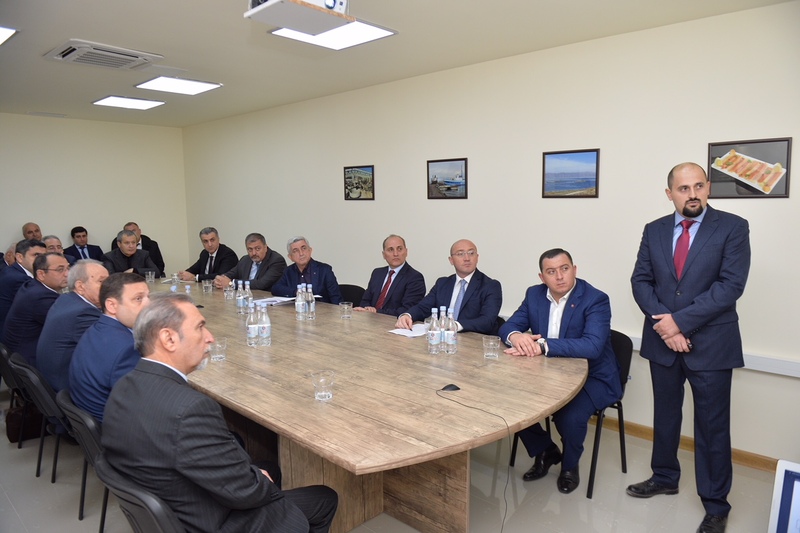 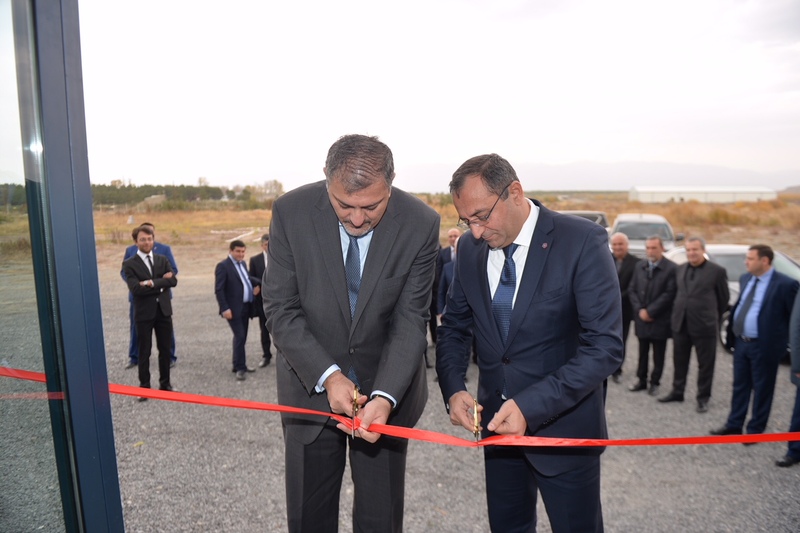 The production and sale shall be carried out by Sevan Ishkhan and Sevan Aqua closed joint-stock companies, which were established by the Sevan Backbone Reserve Recovery and Fish Breeding Foundation. 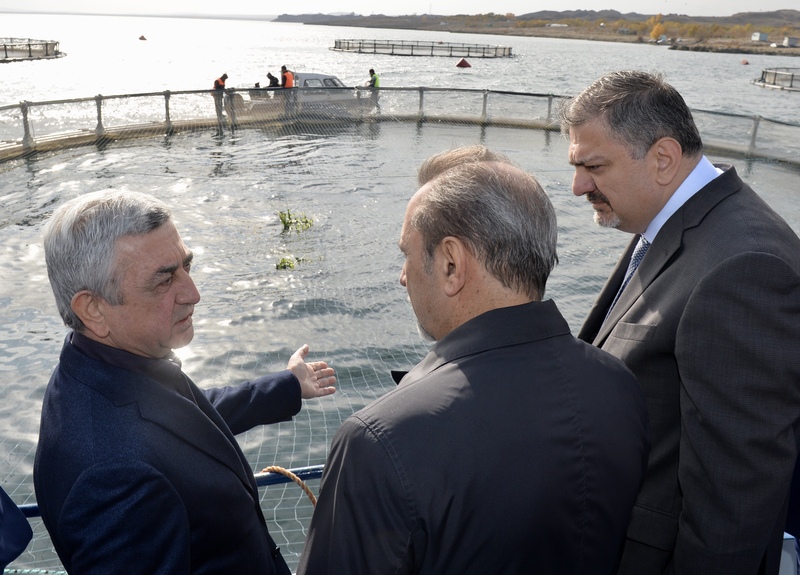 The President of Armenia first called at the Sevan Aqua fishery farm in Lchap community. 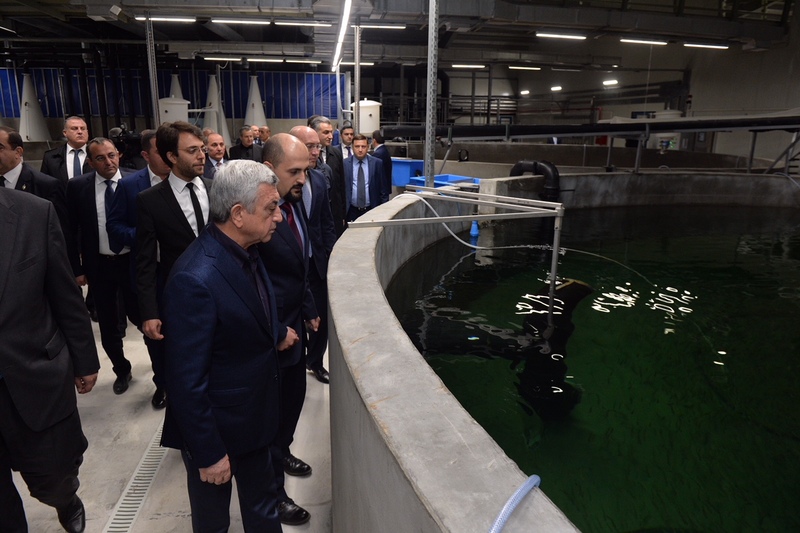 Accompanied by the Deputy Prime Minister, Minister of International Economic Integration and Reforms, the Nature Protection Minister, the Governor of Gegharkunik Marz, the Director of the Institute of Hydroecology and Ichthyology of the National Academy of Sciences of Armenia, as well as by company executives and other officials, the President inspected the work done so far and the existing infrastructures. 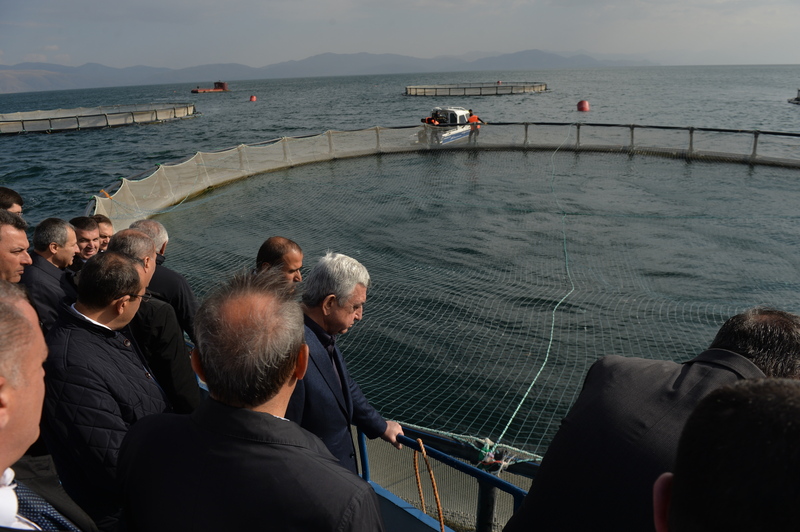 The President next visited the Sevan Ishkhan fishery in Karchaghbyur community, where he got acquainted with the ongoing activities and attended the launch of the new fry nursery. 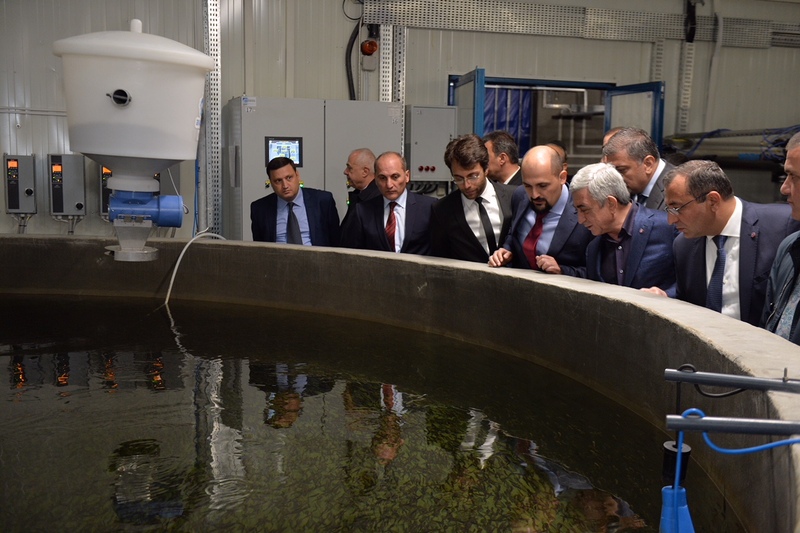 The newly commissioned nursery will provide for the whole cycle of reproduction of the two endemic sub-species in Lake Sevan (Gegharkunik and summer trout), from the formation of a female stock to larvae and fry, and the transportation of the already viable fingerlings to Lake Sevan. 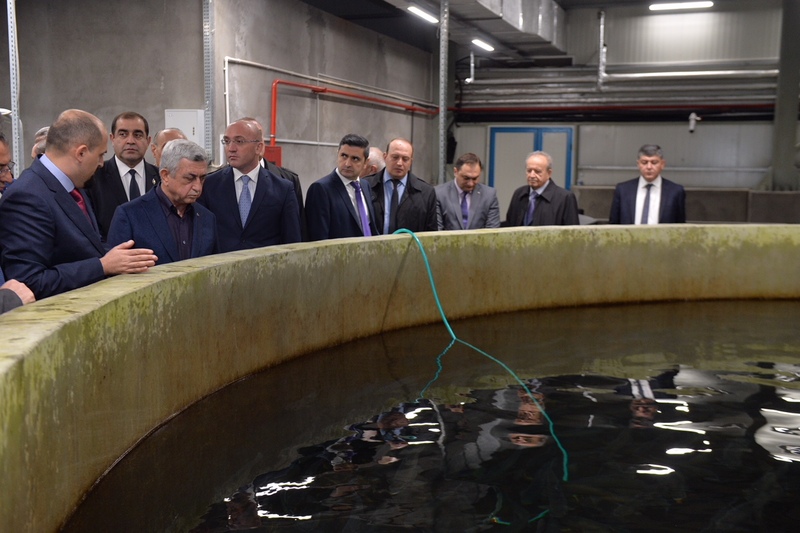 Establishing a complete lifecycle system will ensure that all stages in fish breeding are monitored. 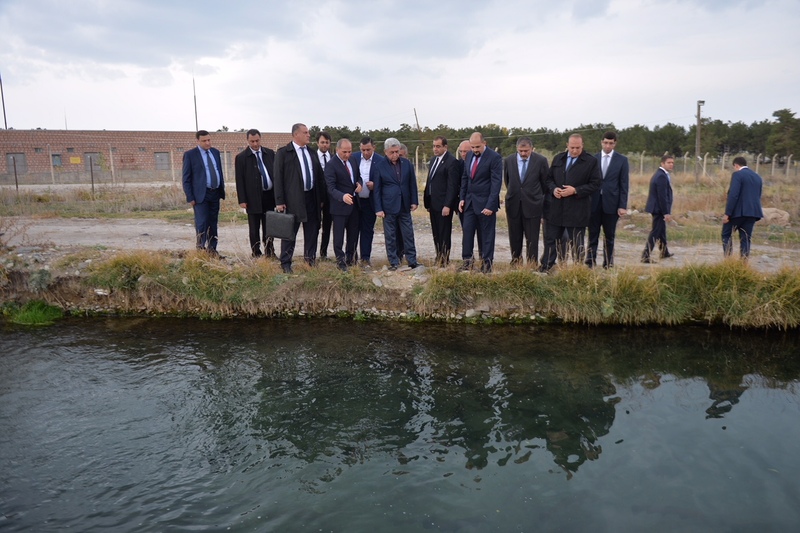 At the end of his visit to Gegharkunik Marz, the Head of State held a consultation on Lake Sevan issues with the responsible officials and other stakeholders. 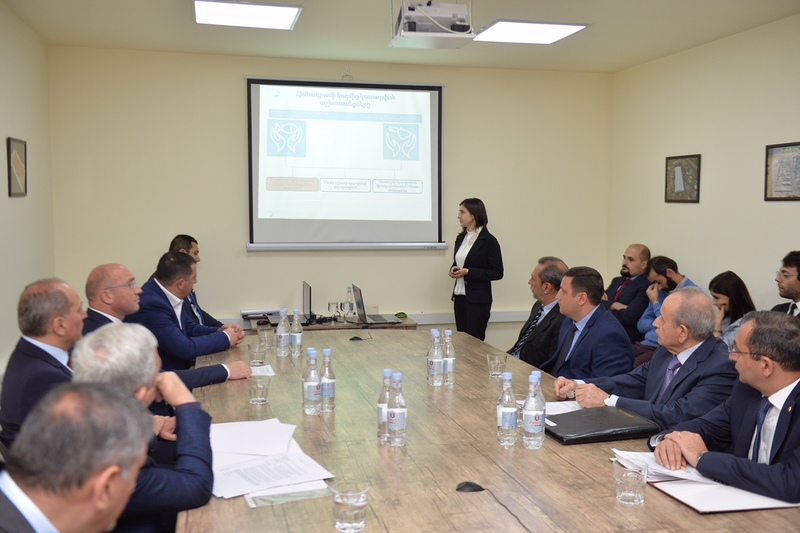 During the consultation, the speakers reported on the activities implemented under the Sevan Trout Stock Restoration and Fish Breeding complex program, the efforts made by the Lake Sevan Commission, as well as on environmental issues and development programs in the Sevan National Park area. 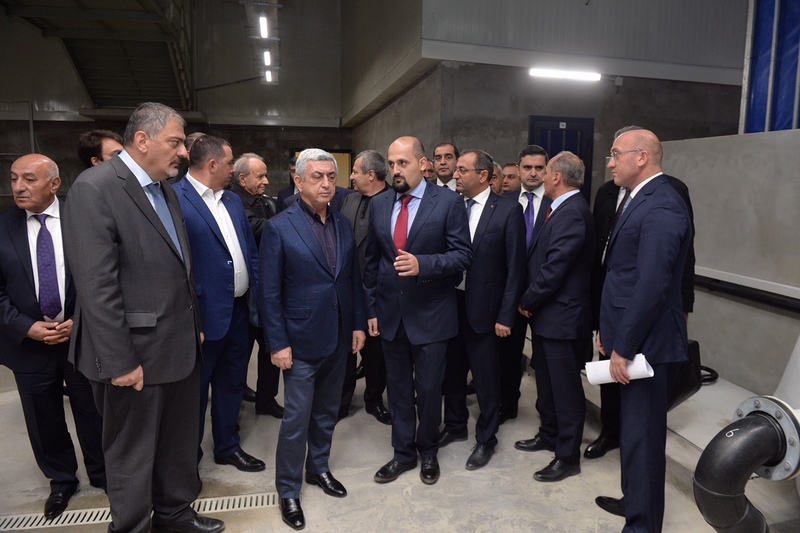 The President was also introduced to the digital model of the terrain and relief of areas situated at 1900-1905 meters of altitude in Sevan National Park as developed by the State Committee for Real Estate Cadastre, as well as the survey materials included in the process of further adjustments carried out jointly with the Sevan National Park SNCO. 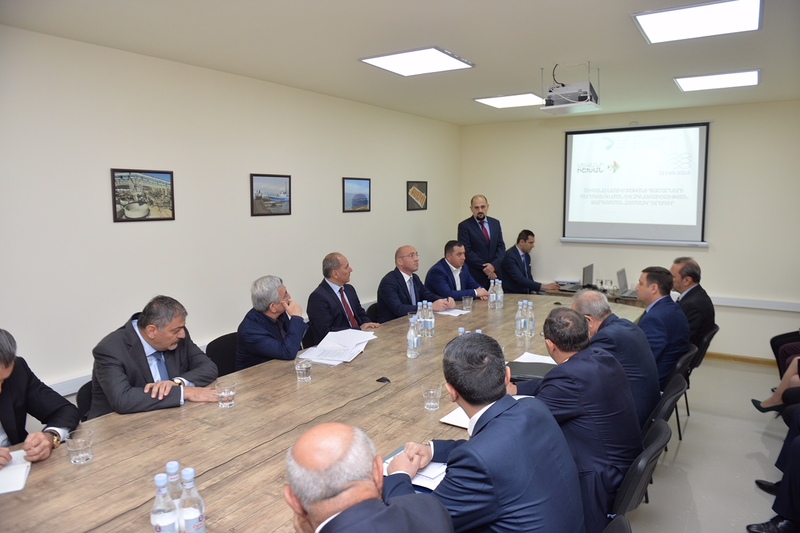 The consultation ended in a number of assignments given to relevant government officials. 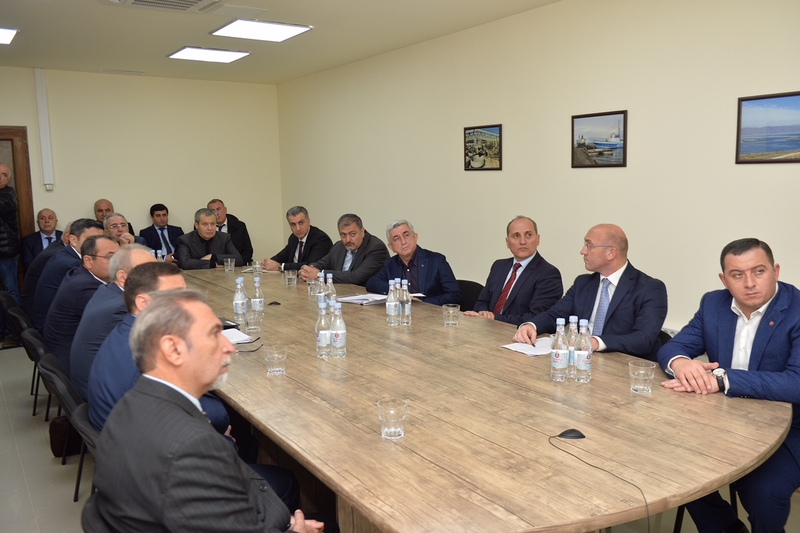 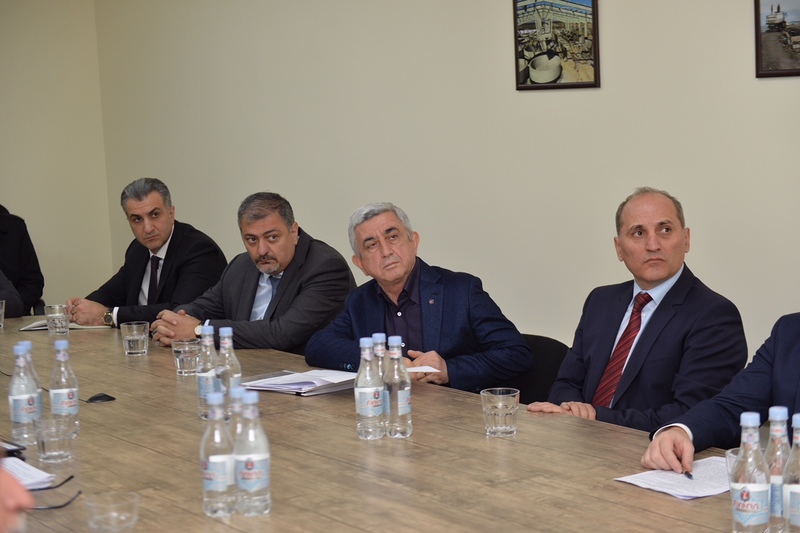 In particular, they were told to envisage adequate financing for completion of current work on rehabilitation of the damaged sections of the Arpa-Sevan tunnel in 2019. 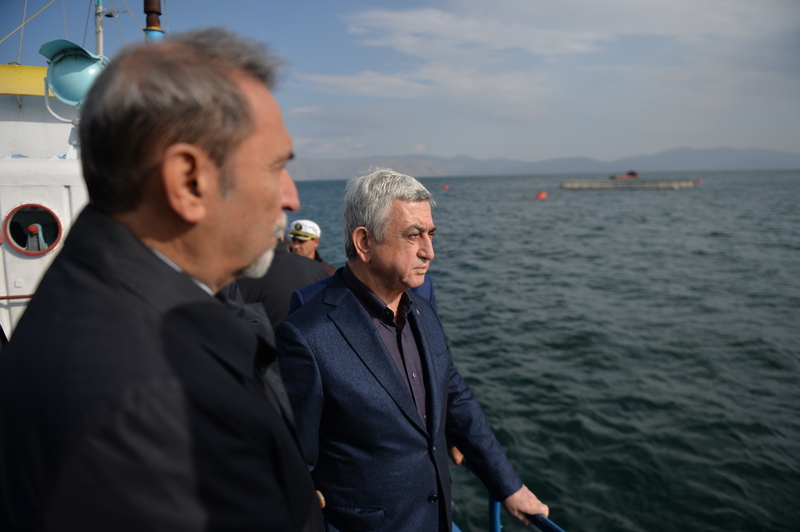 After completion of these works, the volume of water funneled to Lake Sevan is expected to nearly increase twofold as compared to the present level, reaching the mark of 200-250 million cubic meters. 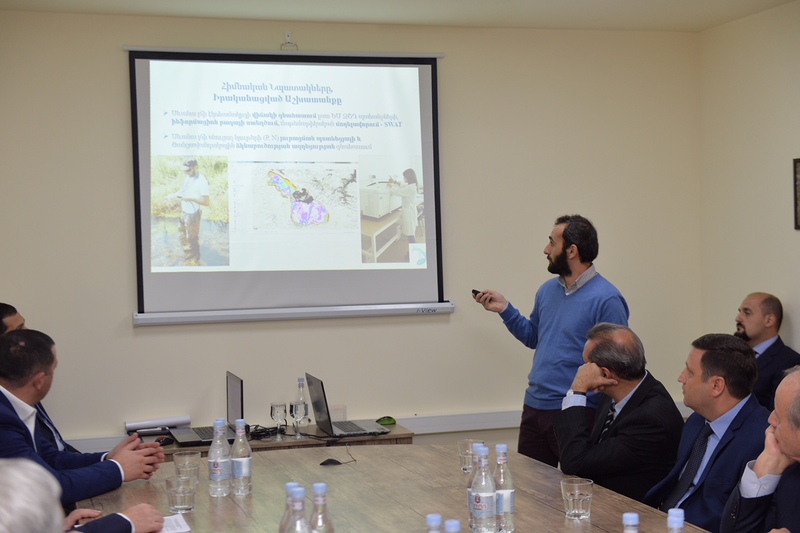 To ensure continued improvement of the quality of water streamed into Lake Sevan, the Ministry of Nature Protection and the MENR State Water Management Committee were instructed to develop an action plan for enhancing efficiency of water cleaning stations operational in the Lake Sevan basin, as well as to take measures for encouraging the installation of local water cleaning stations by those leaseholders engaged in economic activities on the territory of Sevan National Park SNCO. 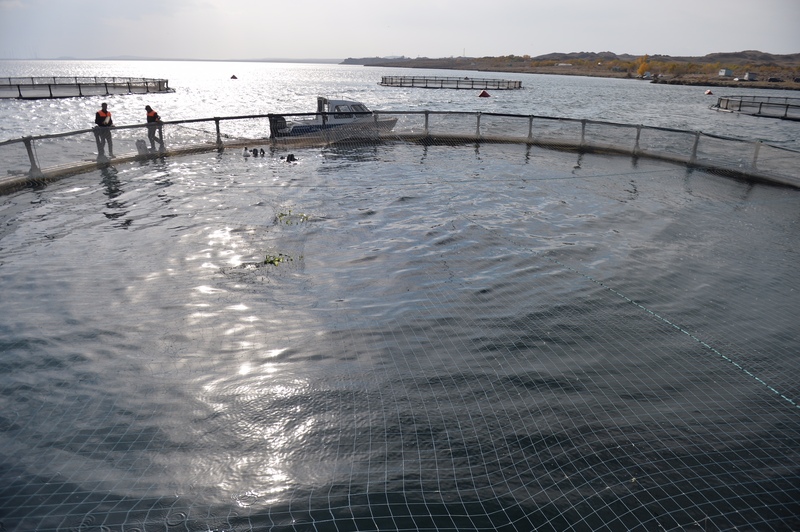 The Ministry of Nature Protection was instructed to build new public beaches and continue work on organization of cleanup efforts at the progressive pace as a result of Lake Sevan’s increased water level, as well as to submit financial planning-related recommendations to the Government for consideration.